After that, there was still hard work to be done. The grain had to be ground between two millstones. 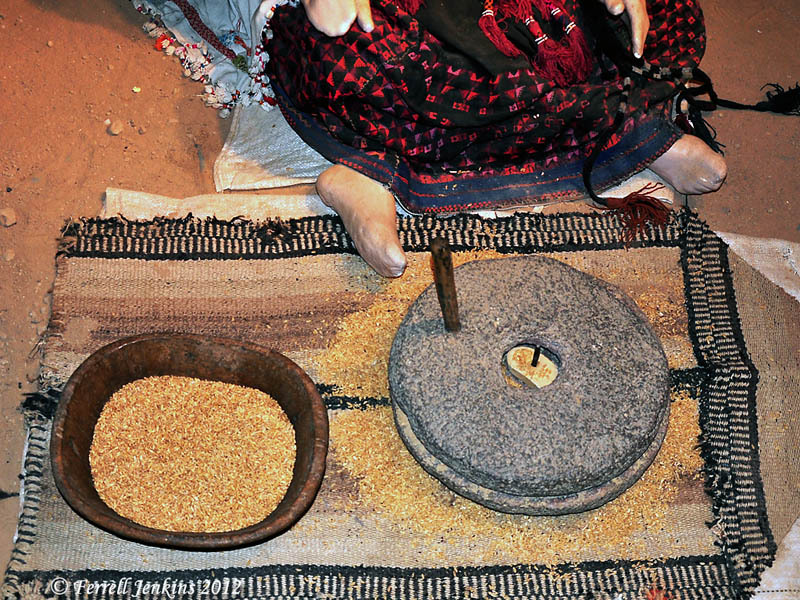 The photo, below taken at The Museum for Bedouin Culture at Kibbutz Lahav in the Negev, shows the process. Grinding grain. Exhibit at The Museum of Bedouin Culture at Kibbutz Lahav in the Negev. Photo by Ferrell Jenkins. There was still the necessary kneading before the bread could be baked and eaten. I am worn out. I think I will run down to the store and get a loaf of bread. This entry was posted in Bible Lands, Bible Study, Culture, Israel, New Testament, Photography, Travel. Bookmark the permalink.